Above Photo: Pat Greenhouse/Boston Globe/Getty Images. Karen Coughlin, left, and Donna Kelly-Williams, president of the Massachusetts Nurses Association, chat following a nurses rally near Partners HealthCare in Somerville, Mass., on Aug. 21, 2018. The Health Policy Commission has never before conducted a similar study for ballot initiatives that could impact health care. 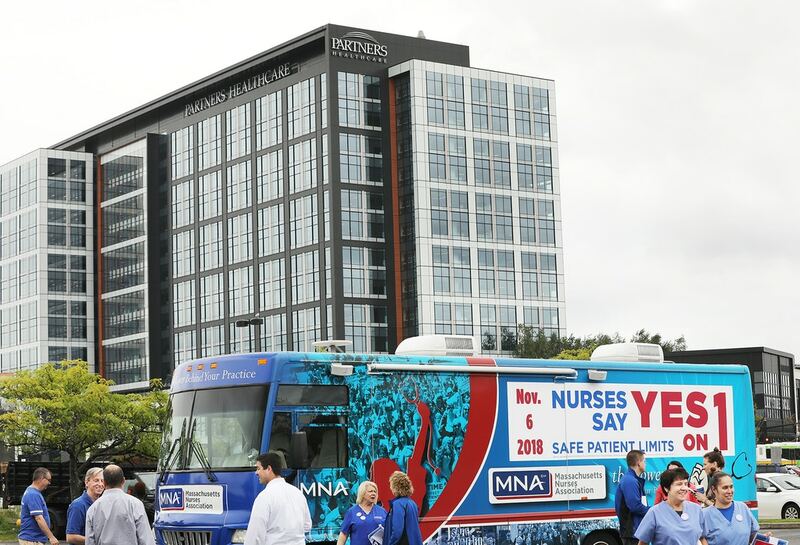 Nurses rally near Partners HealthCare in Somerville, Mass., on Aug. 21, 2018. That the consultants who led the 2016 campaign on behalf of liberal groups are now leading the campaign against those same organizations has sparked intraparty turmoil in the state.